Fill out the form below to access this valuable White Paper. Customise your PipelineDeals CRM to suit your own business requirements. 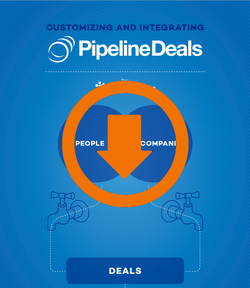 Integrate PipelineDeals with other apps that you are using and share data between them. Integrating PipelineDeals with your marketing system. Awesome things you can accomplish by integrating PipelineDeals with your finance system. A review of how scalable PipelineDeals is and whether it can grow with your sales team.